" En unión y libertad"
Argentina (Spanish: [aɾxenˈtina]), officially the Argentine Republic [A] (Spanish: República Argentina), is a country located mostly in the southern half of South America. Sharing the bulk of the Southern Cone with Chile to the west, the country is also bordered by Bolivia and Paraguay to the north, Brazil to the northeast, Uruguay and the South Atlantic Ocean to the east, and the Drake Passage to the south. With a mainland area of 2,780,400 km2 (1,073,500 sq mi), [B] Argentina is the eighth-largest country in the world, the fourth largest in the Americas, and the largest Spanish-speaking nation. 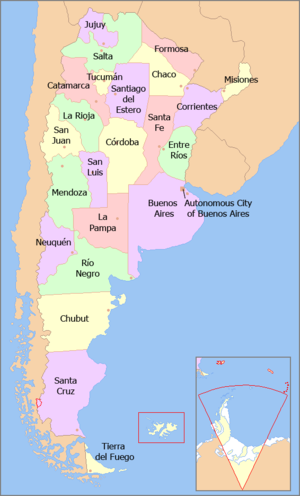 The sovereign state is subdivided into twenty-three provinces ( Spanish: provincias, singular provincia) and one autonomous city (ciudad autónoma), Buenos Aires, which is the federal capital of the nation (Spanish: Capital Federal) as decided by Congress. The provinces and the capital have their own constitutions, but exist under a federal system. Argentina claims sovereignty over part of Antarctica, the Falkland Islands (Spanish: Islas Malvinas), and South Georgia and the South Sandwich Islands. 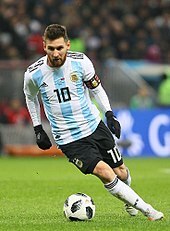 In English the name "Argentina" comes from the Spanish language, however the naming itself is not Spanish, but Italian. Argentina ( masculine argentino) means in Italian "(made) of silver, silver coloured", probably borrowed from the Old French adjective argentine "(made) of silver" > "silver coloured" already mentioned in the 12th century. The French word argentine is the feminine form of argentin and derives from argent "silver" with the suffix -in (same construction as Old French acerin "(made) of steel", from acier "steel" + -in or sapin "(made) of fir wood", from OF sap "fir" + -in). 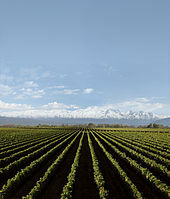 The Italian naming "Argentina" for the country implies Terra Argentina "land of silver" or Costa Argentina "coast of silver". In Italian, the adjective or the proper noun is often used in an autonomous way as a substantive and replaces it and it is said l'Argentina. The first written use of the name in Spanish can be traced to La Argentina, [C] a 1602 poem by Martín del Barco Centenera describing the region. 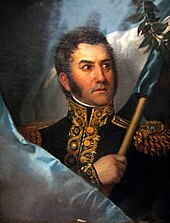 Although "Argentina" was already in common usage by the 18th century, the country was formally named "Viceroyalty of the Río de la Plata" by the Spanish Empire, and "United Provinces of the Río de la Plata" after independence. Boosting the neo-Keynesian economic policies  laid by Duhalde, Kirchner ended the economic crisis attaining significant fiscal and trade surpluses, and steep GDP growth. Under his administration Argentina restructured its defaulted debt with an unprecedented discount of about 70% on most bonds, paid off debts with the International Monetary Fund,  purged the military of officers with doubtful human rights records,  nullified and voided the Full Stop and Due Obedience laws,  [F] ruled them as unconstitutional, and resumed legal prosecution of the Juntas' crimes. 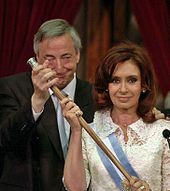 He did not run for reelection, promoting instead the candidacy of his wife, senator Cristina Fernández de Kirchner, who was elected in 2007  and reelected in 2011. Fernández de Kirchner's administration oversaw a positive foreign policy with good relations with other South American nations; however, relations between the United States and United Kingdom remained heavily strained. Jorge Rafael Videla, who had led the repression during the Dirty War, was sentenced to life in a civilian prison in 2010 under de Kirchner's administration; he later died in prison in 2013. Argentina was the only South American country to send warships and cargo planes in 1991 to the Gulf War under UN mandate and has remained involved in peacekeeping efforts in multiple locations like UNPROFOR in Croatia/ Bosnia, Gulf of Fonseca, UNFICYP in Cyprus (where among Army and Marines troops the Air Force provided the UN Air contingent since 1994) and MINUSTAH in Haiti. Argentina is the only Latin American country to maintain troops in Kosovo during SFOR (and later EUFOR) operations where combat engineers of the Argentine Armed Forces are embedded in an Italian brigade. Atucha Nuclear Power Plant was the first nuclear power plant in Latin America. The electricity comes from 3 operational nuclear reactors: The Embalse Nuclear Power Station, the Atucha I and II. In 2012 [update] there were about 11,000 km (6,835 mi) of waterways,  mostly comprising the La Plata, Paraná, Paraguay and Uruguay rivers, with Buenos Aires, Zárate, Campana, Rosario, San Lorenzo, Santa Fe, Barranqueras and San Nicolas de los Arroyos as the main fluvial ports. Some of the largest sea ports are La Plata– Ensenada, Bahía Blanca, Mar del Plata, Quequén– Necochea, Comodoro Rivadavia, Puerto Deseado, Puerto Madryn, Ushuaia and San Antonio Oeste. Buenos Aires has historically been the most important port; however since the 1990s the Up-River port region has become dominant: stretching along 67 km (42 mi) of the Paraná river shore in Santa Fe province, it includes 17 ports and in 2013 [update] accounted for 50% of all exports. The de facto [M] official language is Spanish, spoken by almost all Argentines. The country is the largest Spanish-speaking society that universally employs voseo, the use of the pronoun vos instead of tú ("you"), which imposes the use of alternative verb forms as well. Due to the extensive Argentine geography, Spanish has a strong variation among regions, although the prevalent dialect is Rioplatense, primarily spoken in the La Plata Basin and accented similarly to the Neapolitan language. Italian and other European immigrants influenced Lunfardo—the regional slang—permeating the vernacular vocabulary of other Latin American countries as well. The Argentine state guarantees universal, secular and free-of-charge public education for all levels. [S] Responsibility for educational supervision is organized at the federal and individual provincial states. In the last decades the role of the private sector has grown across all educational stages. 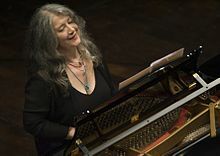 Tango, a Rioplatense musical genre with European and African influences,  is one of Argentina's international cultural symbols. The golden age of tango (1930 to mid-1950s) mirrored that of jazz and swing in the United States, featuring large orchestras like those of Osvaldo Pugliese, Aníbal Troilo, Francisco Canaro, Julio de Caro and Juan d'Arienzo. After 1955, virtuoso Astor Piazzolla popularized Nuevo tango, a subtler and more intellectual trend for the genre. Tango enjoys worldwide popularity nowadays with groups like Gotan Project, Bajofondo and Tanghetto. 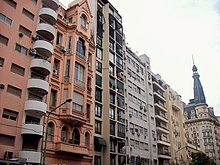 Buenos Aires is one of the great theatre capitals of the world,   with a scene of international caliber centered on Corrientes Avenue, "the street that never sleeps", sometimes referred to as an intellectual Broadway in Buenos Aires. Teatro Colón is a global landmark for opera and classical performances; its acoustics are considered among the world's top five. [T] Other important theatrical venues include Teatro General San Martín, Cervantes, both in Buenos Aires City; Argentino in La Plata, El Círculo in Rosario, Independencia in Mendoza, and Libertador in Córdoba. 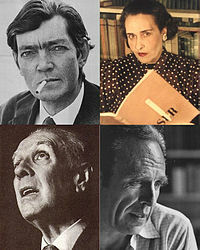 Griselda Gambaro, Copi, Roberto Cossa, Marco Denevi, Carlos Gorostiza, and Alberto Vaccarezza are a few of the most prominent Argentine playwrights. 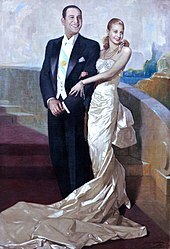 Some of the best-known Argentine painters are Cándido López and Florencio Molina Campos ( Naïve style); Ernesto de la Cárcova and Eduardo Sívori ( Realism); Fernando Fader ( Impressionism); Pío Collivadino, Atilio Malinverno and Cesáreo Bernaldo de Quirós ( Postimpressionism); Emilio Pettoruti ( Cubism); Julio Barragán ( Concretism and Cubism) Antonio Berni ( Neofigurativism); Roberto Aizenberg and Xul Solar ( Surrealism); Gyula Košice ( Constructivism); Eduardo Mac Entyre ( Generative art); Luis Seoane, Carlos Torrallardona, Luis Aquino, and Alfredo Gramajo Gutiérrez ( Modernism); Lucio Fontana ( Spatialism); Tomás Maldonado and Guillermo Kuitca ( Abstract art); León Ferrari and Marta Minujín ( Conceptual art); and Gustavo Cabral ( Fantasy art). 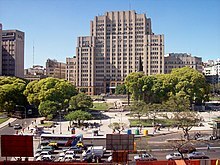 ^ Although not a province, the City of Buenos Aires is a federally autonomous city, and as such its local organization has similarities with provinces: it has its own constitution, an elected mayor and representatives to the Senate and Deputy chambers. As federal capital of the nation it holds the status of federal district. ^ Beck, Hylke E.; Zimmermann, Niklaus E.; McVicar, Tim R.; Vergopolan, Noemi; Berg, Alexis; Wood, Eric F. (30 October 2018). "Present and future Köppen-Geiger climate classification maps at 1-km resolution". Scientific Data. 5: 180214. doi: 10.1038/sdata.2018.214. ISSN 2052-4463. PMC 6207062. PMID 30375988. ^ Beck, Hylke E.; Zimmermann, Niklaus E.; McVicar, Tim R.; Vergopolan, Noemi; Berg, Alexis; Wood, Eric F. (30 October 2018). "Present and future Köppen-Geiger climate classification maps at 1-km resolution". Scientific Data. 5: 180214. doi: 10.1038/sdata.2018.214. PMC 6207062. PMID 30375988. ^ Cruz-Coke, R.; Moreno, R.S. (1994). "Genetic epidemiology of single gene defects in Chile". Journal of Medical Genetics. 31 (9): 702–06. doi: 10.1136/jmg.31.9.702. PMC 1050080. PMID 7815439. ^ Corach, Daniel; Lao, Oscar; Bobillo, Cecilia; Van Der Gaag, Kristiaan; Zuniga, Sofia; Vermeulen, Mark; Van Duijn, Kate; Goedbloed, Miriam; Vallone, Peter M; Parson, Walther; De Knijff, Peter; Kayser, Manfred (2010). "Inferring Continental Ancestry of Argentineans from Autosomal, Y-Chromosomal and Mitochondrial DNA". Annals of Human Genetics. 74 (1): 65–76. doi: 10.1111/j.1469-1809.2009.00556.x. PMID 20059473. ^ Homburger; et al. (2015). "Genomic Insights into the Ancestry and Demographic History of South America". PLOS Genetics. 11 (12): e1005602. doi: 10.1371/journal.pgen.1005602. PMC 4670080. PMID 26636962. ^ Avena; et al. (2012). "Heterogeneity in Genetic Admixture across Different Regions of Argentina". PLOS One. 7 (4): e34695. doi: 10.1371/journal.pone.0034695. PMC 3323559. PMID 22506044. Colantoni, Laura; Gurlekian, Jorge (August 2004). "Convergence and intonation. Historical evidence from Buenos Aires Spanish". Bilingualism: Language and Cognition. Cambridge, UK. 7 (2): 107–19. doi: 10.1017/S1366728904001488. DellaPergola, Sergio (2013). Dashefsky, Arnold; Sheskin, Ira (eds.). World Jewish Population, 2013 (PDF). The American Jewish Year Book, 2013. American Jewish Year Book. 113. Dordrecht, The Netherlands: Springer. pp. 279–358. doi: 10.1007/978-3-319-01658-0_6. ISBN 978-3-319-01658-0. Long, Marshall (April 2009). "What is So Special About Shoebox Halls? Envelopment, Envelopment, Envelopment" (PDF). Acoustics Today. 5 (2): 21–25. doi: 10.1121/1.3182843. Malamud, Andrés (2011). "A Leader Without Followers? The Growing Divergence Between the Regional and Global Performance of Brazilian Foreign Policy". Latin American Politics and Society. Lisbon. 53 (3): 1–24. doi: 10.1111/j.1548-2456.2011.00123.x.